Track all your online reviews from all major review sites, in one central location. One of the best things about review trackers is my account rep, Crystall-her title is Director of Customer Happiness!! Can't think of anything..Well maybe you all could send quarterly activity reports with ":best practice" suggestions. Managing online reviews could potentially be a full time position if it weren't for review trackers. We receive same day alerts when any reviews are posted about one of our 20+ providers or 7 locations....ANYWHERE on the web. Hi Logan, just wanted to say thanks very much for the excellent review! We really enjoy working with you and I will pass along your suggestion for quarterly activity reports with best practice and suggestions. Thanks again! "Perfect fit for our needs"
We checked with other review aggregate companies, but for our needs, ReviewTrackers was the best. Their platform is easy to use and provides us with all the tools we need to see all our reviews in one spot. They make it easy to respond to our member's reviews and reporting is a breeze. It helped us to free-up A LOT, and who doesn't need more time? The only area where they can improve is to add review updates. If a member updates their review, it doesn't seem to update in the system. Still, this service is outstanding! We love it! For the cost, ReviewTrackers is exceptional. Review tracking these days is SO essential. Not only is the tracking crucial, but responding to reviews (good or bad) is powerful. Knowing how your customers feel about your products or service and being able to improve them from the feedback on reviews is necessary to succeed and flourish in this highly competitive environment. This saves us hours of time and makes reporting on reviews much easier. The other major benefit is we're able to see reviews from all sources, such as Facebook and Google. We used to only report on Yelp reviews since that was the majority of reviews, but now we can report on all reviews sources. Our reports are FAR more comprehensive. We learned that Yelp was about 65% of all of our reviews, so we were missing out on 35% of all our reviews. This helps with service recovery far more, too, since we can respond to reviews from other sources. Using ReviewTrackers is a major improvement. Thank you so much for the high star rating and for sharing your thoughts here on G2 Crowd! We are so happy to hear that you are getting great value from ReviewTrackers. I have already shared your feedback with our Product and Engineering teams. If there is anything else that you would like to mention or anything that you may need help with, please don't hesitate to let us know. The RT team makes you feel like you are their biggest client. They are regularly asking for feedback on potential new features and ideas. Whether we are on desktop or mobile, their intuitive software design allows our marketing team to quickly build reports or respond to our customers. We would love more workshop or "how to" videos! Videos that could help us walk through new site features or provide helpful tips on responding to customers (Tips such as placing your location's name within the review response can actually boost your organization's SEO). In the world of healthcare, word-of-mouth can be make or break for your organization. ReviewTrackers helped us build a stronger online presence by connecting us to our customers quickly. Features such as requesting reviews and custom URL landing pages, gave us incredibly unique ways to gain more reviews for our 100+ locations. 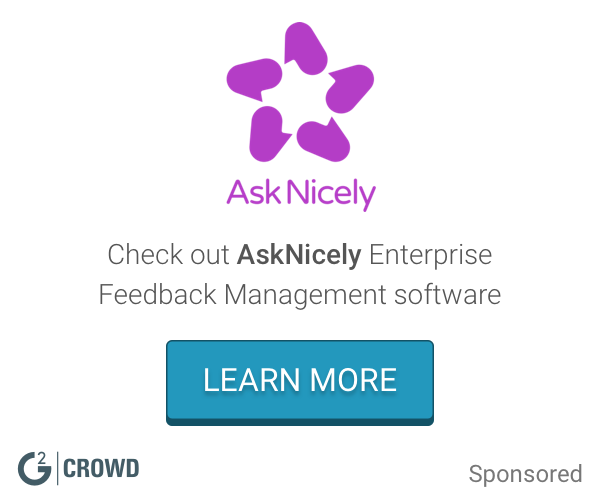 Thank you so much for sharing your feedback here on G2 Crowd! We are so glad that our review management software has helped your 100+ locations achieve better business results. I especially appreciate your feedback about our software design; it's something that our team works hard at every single day, and I am so glad that our efforts have led to a better user experience for you and your organization. I'm taking note of your request for more "how to" videos and helpful tips; rest assured that our Customer Success team is already developing new and better ideas on how to educate customers about the importance of reviews, plus industry best practices. Thanks again for taking the time to write a review, Tanner! What Online Reputation Management solution do you use? "Customer service like none other." There isn't a question that the team hasn't answered clearly and promptly. Sometimes a company will sign you on and then the customer service basically signs off. Not ReviewTrackers. I've tried to recruit them to come work for us, but without luck. I also find the dashboard to be very user friendly. I can jump around with ease and analyze data between our restaurants and different time periods. I know that when I present the data to my CEO, it's spot on. I only wish that the look back period could be automatic for each of the restaurants on each of the various review sites. ReviewTrackers has offered to do a longer look back period upon special request. I would rather it come as part of the package. This is the way to go. It's made it so easy for us to stay on top of our customer reviews. Very useful! We have used ReviewTrackers data to look at trends with some of our restaurants that were 'popping' with negative reviews. Wow Elizabeth! I just shared your review with our Customer Success team and I'm fairly certain you just made their day. I've also shared your feedback with the product and sales team so they can look into the possibility of making an extended "look back" period a default option. Please let us know of any other product enhancements you think of! Its your feedback that makes our product so successful. "Phenomenal product and an even better team behind the scenes supporting it and YOU." I would give more than 5 stars if I could. Stacey and the team at ReviewTrackers are phenomenal. They are extremely knowledgeable and professional, as well as refreshingly fun and friendly. BEST customer service!!! ReviewTrackers is a very well built platform that is easy to use. I use ReviewTrackers on a daily basis and benefit from it tremendously. It takes all the hard work out of monitoring and requesting reviews, leaving you time to analyze and make the most of the data and insight provided! Highly recommend. I can't think of anything I dislike or that truly needs improvement. I think additional data on the dashboard would be helpful. Similar to "Trending Topics", it would be nice to have other fun, measurable, visual elements to reference and report on. ReviewTrackers is a very well built platform that is easy to use. I use ReviewTrackers on a daily basis and benefit from it tremendously. It takes all the hard work out of monitoring and requesting reviews, leaving you time to analyze and make the most of the data and insight provided! Highly recommend. We needed visibility into what was being said online about our various office locations and brands. It is imperative in such a fast-paced industry (and with the speed and reach of the internet) to have ONE platform that collects, reports, notifies and assists us in tracking all of this data. Aside from general visibility, we also wish to identify trends and gain valuable insight from our customers and the online community. Thank you so much for the wonderful review of our product and customer service. We take pride in every review we receive... and every review we help our customers receive. Thanks also for the suggestion of adding additional data to the dashboard. I've passed this along to our product and engineering team. Let me know if you have any other suggestions, we love customer feedback! ReviewTrackers has a great customer success team. Our representative is incredibly responsive, and consistently goes above and beyond to answer questions and provide solutions to us. They are continually adding new features to the platform that is making it easier for me to manage 300+ locations on multiple review platforms. That we didn't engage with them sooner. I have no complaints about their services whatsoever. ABRA has more than 300 locations and until we implemented ReviewTrackers, we had very little insight into our reputation and customer issues being posted to Google and Yelp in particular. The platform has allowed us to take a disciplined approach to reputation management. In addition, we are a learning organization and take the opportunity to improve very seriously; ReviewTrackers has allowed us spot possible trends and problems that need to be addressed. Wanted to quickly follow-up with you and thank you for the great review. Your story is definitely inspiring to other businesses, and I'm glad ReviewTrackers could be a part in it. Let us know if you have any other feedback. Thanks again. The app and website are both incredible intuitive, and the most useful information that I need when reviewing reviews are always available in simple, effective charts and reports. Plus you're able to respond to the review straight from the website, increasing my engagement with customers and decreasing the amount of time I spend on tracking reviews. Honestly, I don't have any qualms with ReviewTrackers. Because the reasons I use it are pretty basic, everything I want to use them for is provided. Like I mentioned earlier, it simplifies engaging with customers who have left a review on any major site (Google, FB, yelp, TripAdvisor), which has increased my efficiency. Hi Patrick, Thank you for sharing this amazing review with the G2 Crowd community. We're thrilled that you're able to manage your reviews efficiently using our platform, and that you're able to increase engagement with your own customers. Honestly, we're just glad to be able to increase your efficiency. Thanks again! I love the ability to keep tabs on all locations in one place - streamlines my workflow extremely well! I wish the Search Bar at the top of the dashboard (where you can select Groups or Locations) was a little more intuitive - sometimes even when I type in a new item, it reverts back to the old one. It would also be nice to have the capability to respond to reviews directly within the platform so you don't have to click out to the sites. We're using it to identify any and all issues that are happening at our properties. Being able to view everything in one place makes everything super efficient - especially when you have the ability to receive information to your inbox instantly. Thank you so much for taking the time and leaving such a thorough review, I'm sure our future customers are quite appreciative. Love your specific suggestions and have passed them along to our product team. Have you seen the new Google My Business and Facebook integrations, which allow you to respond to reviews directly from the app? We're working on making that feature native to the all review sources, but is there another review source you want sooner, rather than later? Let me know! Thanks again. They are very fast at monitoring reviews and it's helped us at our agency a lot! There aren't a lot of things we dislike that aren't industry standard. We wish we could have a little more control over the confirmation pages when asking for reviews to help direct people where we want. Let us filter out the just the internal feedback reviews, since they aren't public and don't impact the actual reputation of the client. This lets us not only do reputation management and monitoring reviews online, but it also lets us be proactive in how we build reviews by requesting them. Thanks for the wonderful feedback, Stephen. Proactively managing an online reputation is extremely important these days so I am very glad you're able to build up a positive reputation using our feedback request tool. I've passed along your recommendation about internal feedback to the product team. Thanks again! "A Great Tool for Reputation Management "
Review Tracker's customer support team is outstanding. They are always quick to respond and resolve issues and are very friendly! I love the working relationship we have with them and for the price, you wont find many companies out there that do it better. Set up was easy and painless and month over month it is a simple platform to manage. Customer service can make or break an experience and I truly feel that the Review Tracker team makes their experience memorable. I do wish there were more options for reporting. The platform is very useful but an automatically generated report sent to each individual location would help all of our locations stay on top of their reviews. While there are many more options available to companies using Review Trackers, the particular platform that we use is pretty basic. For the price, there is no other company that matches the ease of use and simplicity of set up for this program. I highly recommend them! Reputation Management is a large part of the service industry that we are a part of. Review Trackers helps us manage all reviews and gives us the opportunity to reach out directly to our customers. Its a great way to connect to our customers and offer support. Without a tool such as this, we would be spending a large amount of our time searching each individual review website for all of our stores. This would be both time consuming and inefficient. With Review Trackers, we are able to filter all reviews into one dashboard making the process easy to use and easily accessible. This was a need that we didn't realize we had until we started using Review Trackers, now we cant see managing our customer reviews without it! Thanks so much for taking the time to leave such a thorough review of our reputation management software. I'm glad you've found the set up easy and the daily operation painless. I've passed along your praise, and more importantly your suggestions, to the product team. We are actively working on improving our reporting and metrics to help our customers better understand their customers. Stay tuned for an update about it soon! "Review Tracker review after using the tool "
I like the analytics available. I also like the colorful charts and graphs that come with the analytics page. The UI visuals (after the recent udpate) are one of the best in the segment. The grouping feature available let us view aggregated results for a segment/group. At that time (when we were using), they were the first ones to offer Yelp! data in its entirety. The price was not optimal and that's why we moved to another tool. I also thought that some of the deep-dive features were not very helpful and took more clicks to come out of. I also felt that it was not very easy to identify at what level of deep-dive view I was in at particular time. Great tool in the segment. If the price is not a matter, then its a fantastic solution for your online reviews tracking/aggregating/tracking/responding business need. Easy aggregation of online reviews and features to respond or track workflow for the same. The coverage came with an impressive set of source sites. We were easily able to solve our need for managing our online reputation. Thank you so much for taking the time to review our review management solution. We (obviously) both know how important reviews and customer feedback are for business success, and how it helps prospects evaluate potential solutions. I'm disappointed to see you left us a 6/10 and would appreciate the opportunity to make it right. We value our customers as partners and to see that we parted ways with a negative experience is upsetting. Again, I really appreciate you leaving your review. It's what makes our world go around! Thanks. "Monitor Your Reviews with ReviewTrackers"
It is worth the investment to keep on top of all your online reviews. Not just to respond to them but to be able to see everything your customers are saying. You can monitor trends and watch your ratings go up. Hi Alex, thank you so much for sharing your review here on G2 Crowd. We are so happy that your reviews and ratings have increased while using our platform. Since your review, we have added custom new reports and alerts to help you respond to reviews that don't have a response yet. If you have trouble setting this up, let us know and our Customer Success team will be more than glad to assist. "We use the API and it seems to work well." Seems pretty solid. I get the info I expect and don't have to monitor the process that pulls this information. With the upgrade to v2.0 of the API, the search criteria is a bit better than it was. As we are reselling, adding and removing locations to monitor is a bit cumbersome. Would be nice if we could automate this. Also, the documentation for the APIs is not as good as it could be. There are some parameters that are just not documented that work just fine. I know it may be a work in progress but still, it needs work. They do what they say they will do. We are pretty happy so far. We had a bit of conversion troubles moving to the API v2 from v1 but with the help of support, we were able to get through it. Added value to our customers. They use us to do surveys and we combine our formal survey data with online reputation management data. Hi Scott, I believe this is the first review of our API, so kudos! I've passed along your feedback to our product and engineering teams, and I'm sure they're excited to hear about the more technical side of our business. Also, thank you for the shoutout to our customer success team. Best of luck! "Voice of Client is vital! We wouldn't trust this aspect of our success to anyone but ReviewTrackers." I like that I can focus on 'good business' and not have to monitor or worry so much about potential bad reviews. I was told about website integration during a pre-sale conversation, but I have not had the time to integrate it. It was a very attractive feature that would guide negative reviews internally for response while posting positive. It is not so much that at this stage we are solving business problems, but rather taking preventative action. Reviews are an investment in future success (or failure). We are a small service organization and very client focused. We have learned in our short time in business (6 years) that time moves very quickly, and while our volume of reviews to date is very small, we realize that we must have a meaningful solution in place to handle customer reviews / Voice of Customer before we find ourselves with a business problem. Thanks so much for the great review and actionable feedback, Anthony. I'm glad you're able to focus more on your business. Best of luck with your online reviews! I'm able to filter between locations, star-ratings, platforms and various lengths of time to create and distribute reports to my various internal clients. We have eyes on ALL reviews left for U.S. Bank branches and are able to communicate with customers (because of this review awareness) in a more timely manner than we could before implementing ReviewTrackers into our strategy. I'm looking forward to having functionality to respond to reviews on all relevant consumer review platforms within ReviewTrackers and be able to see the entire online interaction between customer and customer care representative in one place. Our team has an amazing working relationship with the RT team. We are very lucky to be partnered with a very talented and hard working customer care rep who always responds in a timely manner and provides an exceptional amount of support for our team. We greatly appreciate them and all the time and effort they put into our account. Thanks for such a glowing review! You obviously know how valuable reviews are to businesses, so we all really appreciate you taking the time. We've heard from a lot of customers who are excited for the functionality to respond to reviews from within the app, and it's coming (very!) soon. Stay tuned! Also, thanks for the shout-out to your customer care rep, I'm going to share this review with her and the rest of the team, and it'll probably make their day. Thanks again! "Review Trackers is an invaluable service! " Review Trackers makes it seamless to both manage our online reviews as well as collect internal feedback to then increase positive external reviews. The dashboard allows for quick reports and access to any new external reviews. This quick glance often lets us see if there is an over-arching issue that needs to be addressed. The only negative I can think of is the ability to have the "from" name and email on the request reviews emails be saved as something other than the account manager. I currently have to change those fields each time for each "location" so it isn't my name and contact email. If not doing so, definitely utilize the request feedback feature, it has greatly increased our positive external reviews! Review Trackers have allowed us to be much more proactive if there is a problem or negative review. The benefit is to personally request feedback in a quick email with the external links added for positive feedback.It is also an additional opportunity to ask patients to sign up for our online portal in the review emails, which has increased those sign ups as well as reviews. Hi Kelsey! Thanks for taking the time to leave us a review here on G2 Crowd, we really appreciate it. I've passed along your feedback to our awesome product team. If you have any other ideas for improvement, please feel free to pass them along. Thanks again! "Excellent tool for multiple sources"
It gives me everything at once in one easy to use place. The dashboard lets me see the source and the site. Some lag time from site to ReviewTracker. Pretty comprehensive for getting the big picture and taking steps towards response. It allows multiple people to get insight into the whole review picture while filtering it to each person's needs. Easy to navigate. The daily emails are perfect for those who don't want to log in. Thank you for reviewing ReviewTrackers! We are so happy to hear that the review management dashboard is working for your team. Your review makes a difference to us and it helps motivate us even more to do our best. I love this site. It's so user friendly and it's really helpful for keeping track of all the analytics from month to month or quarter to quarter, etc. Also, their customer service is AMAZING and they always get back to you super quickly and are so helpful! Honestly there's nothing I really dislike about the site! It helps us keep track of our review averages across sites for each quarter to see where we're falling short and what platforms we're thriving on. It keeps us all motivated and helps us to see what areas the problems are in so we can fix them! Thanks for the great review! Best of luck with your review management. As always, let us know if you need anything at all. Thanks again. "Helpful and knowledgeable staff keep things easy"
I appreciate the speed in which the ReviewTrackers team works to respond and resolve any questions or concerns my colleagues or I may have. They are also excellent at providing guidance and additional insight on a space our business is unfamiliar with (social media). Would love for ReviewTrackers to have the ability to also capture BBB complaints, as opposed to just customer reviews. Our business is in the process of adopting a culture better-centered around listening to and quickly acting on consumer feedback. ReviewTrackers helps us in this effort as it provides an instant notice of what our customers are saying across the web so that we can review and respond almost immediately. In turn, this will help our social media presence and provide a positive consumer perception of our business. Hi Megan, thank you very very much for writing such a comprehensive review of our reputation management software! We're glad you're happy with our Customer Success team, it is something we actively work on. Anything to make our customers happier! I do like that it gives each company the opportunity to put all of your review outlets in one place. Because of that, you are able to monitor and see what is happening across the board. There are SO many review applications and outlets, this is a great way for a company to look at their own marketing efforts and where they could spend a little money on advertising with these applications. As a person who works in the marketing industry for a marketing firm, it really drives customers away from your site by the way they want people who have had a bad experience to go to ANOTHER site and fill out ANOTHER thing telling you why, thus hiding all the bad ones and filtering out the good ones to show up online on various review sites instead of showing ALL of them - the good and the bad. Unless youʻre a BIG company, itʻs not really worth the time to get. You also have to have someone on your team willing to look at and respond to each and every outlet - as it doesnʻt allow you to respond within the software. We were tasked with monitoring several restaurantsʻ social media reviews and were looking for a way to do so without having to log in to every single one. What we have found is it is a great tool to use to monitor the various outlets, but only if youʻre aware of them. It doesnʻt search for your information, you have to fill it in yourself. Thank you for taking the time to share your thoughts and taking the time to speak with us. Thanks to your follow-up, we learned that you were introduced to our platform through a longtime user’s account and may have missed out on important info provided in our typical onboarding process. We’re glad you were able to meet with Kelly on our Customer Success team to learn more in a 1-on-1 training session. When a location is added to ReviewTrackers, our trusty Onboarding Team performs a thorough search to make sure we’re monitoring all existing review profiles, even the ones many people don’t usually think of (e.g., Foursquare or Citysearch). This helps us ensure we’re providing each ReviewTrackers customer with as much meaningful data as possible. While we would love to allow ReviewTrackers users to respond to reviews directly from the platform, we’re very dedicated to following the guidelines set by review sites. These guidelines currently prohibit third parties from publishing content on your behalf or syncing your login information, but we always aim to add value and save our customers time in alternative ways. I hope this helps answers any more questions that could arise due to this 0/10 star review. If you have any questions, please do not hesitate to email me at brian@reviewtrackers.com and I'd be happy to help. The visual display of data is SO easy to read and digest! The swift customer service is incredible! It's great to have a direct contact that we can submit feature requests to. One feature that I'd like to see is automation for reports so that I can designate a date that certain reports will be pulled and e-mailed to me versus manually pulling them. Robust offering. We're looking forward to the word bubble feature continuing to gather data and paint a picture. The business issue that Review Trackers solves is twofold. We needed an automated solution for pulling reviews across multiple properties and platforms and also provides a way for multiple business stakeholders to access this data in a visually appealing and digestible way. Thank you so much for taking the time to write such a thorough review. We're so happy you've found our UI easy to use and our customer service top-notch. Your feature requests are extremely helpful as well! I've passed your request onto our product team so expect an update from us soon. Stay tuned! I really like that I can add managers with their own login and that they can set their account to get notifications when we get bad reviews. I also really like the reports that can be made which makes it easy to share with board members. I don't like that I have to directed off of the site to respond to reviews. I wish there was a way that we could manage and reply to reviews without ever leaving the reviewtrackers website. Recommend if you are looking for an easy way to keep management aware of reviews. We are able to immediately see where we excel and what needs improvement. Thank you for taking the time to write a great review on G2 Crowd. I'm thrilled to hear that you have been using ReviewTrackers in order to stay on top of what customers are saying online, understand their experiences better, and identify opportunities for improvement. This has always been our vision. In case you haven't implemented this yet, our new Google and Facebook integrations allow you to respond to reviews on Google and Facebook from within the app. No need to leave your dashboard. Just contact your Customer Success manager and they'll set it up for you ASAP. "Excellent Customer Service and Easy To Use System "
Their Customer Service is stellar. Their team is incredibly responsive. Their dashboard is very easy to use and operate. It's been a great asset to our reputation management. The program also has the ability to reach out to current clients for reviews. I love this tool as well as it allows us to generate more reviews than we would have otherwise. The only thing I would change is to have the ability to pull any Yelp reviews that were filtered off of the Dashboard without having to notify our Account Team. Reach out to the Review Trackers team and set up a demo. We are continuing to grow our review base and to maintain our positive client satisfaction rating. Thanks for the awesome review, Megan! You obviously know how important online reviews are so we really appreciate you taking the time to write such a glowing one for us! A tremendous value for the price for what the platform is able to do. Their team is incredibly responsive, in tune with what their consumers are asking for and striving to exceed expectations at every turn. It would be fantastic to be able to reply directly from the platform to the various sites where reviews are posted and be able to designate a workflow for teams with multiple team members and track efficiency in response times. We are able to easily see what our scores are for our various locations from multiple sources, benchmark against competition in their respective market areas and easily pull data that we can share with property executives. Thanks for the great review, Jason, we really appreciate you taking the time to share your feedback, and I'm sure potential customers are grateful for it. I have great news! You're now able to reply directly from the platform to Google and Facebook reviews, and more sources are on their way soon. Let us know if you're interested in setting it up. Thanks again! "Review trackers is an extremely useful tool"
I really appreciate how I can have all reviews at my finger tips through email of review trackers and then can continue on by clicking on the link if I want to respond. There are so many portals we are reviewed on that I never realized until review trackers. I feel I can better respond to our fans, customers, and those that may have immediate feedback that needs attention. I feel much more connected to our customers. That they came through the next day rather than live in the moment. Its not a big deal but the only thing I would want to see improved if I could. Its a one stop shop of seeing all the reviews from any site through one portal and measuring the success or improvements on all in portal. It is better use of time, not missing any reviews, and getting a clear picture to how your company is doing as a whole. The metrics that are provided allow me to see how each of my restaurants are ranked overall. We do contests with them and it allows our stores to have goals for overall social media reviews. The metrics also provide summaries of each of the sites so we can see how each store is doing on the specific sites such as yelp, google, Facebook etc. We use this information and summaries of reviews for our manager meetings every two weeks. Thanks very much for the great feedback! We're glad you found our review monitoring solution as beneficial as we hoped you would. Having software that can save hours a week/month is amazing, isn't it? Best of luck tracking your reviews! "ReviewTrackers makes my job easy!" I love a lot of things about ReviewTrackers. First, the ease of having your reviews compiled for you is phenomenal. Second, the notifications allow you to have as much exposure or as little to the reviews as you want. Finally, it is easy to use as a team or team manager. The only thing I don't love is that if you want to respond to a Google review, there is not a way to take you directly to the review like there is on a TripAdvisor review, for example. Compiling all reviews into 1 channels where they can be accessed and monitored. Wow, thank you very much for the kind words. We here at ReviewTrackers feel so lucky to be able to work with you and the team at Clear Marketing. By helping us out with such positive a positive review, I'm sure you've just convinced others to "move forward with confidence." I hope you do the same. "ReviewTrackers has helped us increase our group rating "
The ability to respond in the ReviewTrackers platform, and have all our reviews and responses in one place, makes it easy for us to go back and check if we need to. You might not think it is something your organization needs, but it has been a massive time saver for us and ensures we are responding to all our customer's reviews. We are able to communicate directly with the customer after their visit to one of our venues and provide support if something has gone wrong. Thank you for taking the time to share your feedback with the G2 Crowd community. We are delighted that ReviewTrackers has successfully helped your organization improve your ratings (while also saving you time), and we are thrilled that you've been able to leverage our review response features in order to connect with your customers. Thanks again for your review, and if you have more feedback to share, please do not hesitate to let us know. Review trackers has been a great way to track what our patients are saying. It also has allowed us to easily request reviews from patients who have had a great experience with our office. We also sometimes have patients that don't know the best place to leave their reviews, and with ReviewTrackers we are able to direct them to credible review sites with ease. Ultimately, it has really helped us increase our online traffic & website views. The dashboard also makes it simple to view everything that is going on online without having to visit 5 different websites. I don't like how there is a maximum of 3 review sites you can link to. -I have been told you are able to paste the URL to add additional links so I now have been doing this. Just give it a try! You won't be disappointed. Before ReviewTrackers, we really had no way other than sending a patient an email or attachment to ask for a review. The platform has given us access to a professional template that makes requesting reviews a breeze at the end of each week. It also has made us more aware of what our patients are saying about us- so we can continue to improve on our practice & services! I also never realized what a hassle it was to visit multiple sites a day to check on our reviews. Now that I have Review Trackers, it keeps everything organized for me within the dashboard. Hello Brooke. I'm so sorry to see a 3.5 star review, but I appreciate the honest feedback. I know our Customer Success team has worked with you personally to improve your feedback request tools, but please let us know if there is anything we can do to turn your experience around. We really love our customers, and your success is important to us. "Great Product & Customer Service!" I work with approximately 20+ properties each with several venues - it would be impossible to read & respond to each review individually on each site. ReviewTrackers helps our work flow from start to finish when it comes to our Reputation Management. It's also wonderful that the ReviewTrackers staff will seek out and find existing listings for each of our venues for us! I wish that ReviewTrackers added some social features such as social media & brand monitoring - hopefully there will be more to come in the future in this area. I also wish we could respond directly with ReviewTrackers to reviews with Yelp without having to be logged into another account. I also wish we could 'Connect' our accounts with ReviewTrackers to 'log-in' to the service. Create a list of all of your venues that would be required in your account along with address, phone #, etc. - ReviewTrackers will take care of the rest! Request Crystal as your account manager as well - she's absolutely wonderful! We are able to save plenty of time but also keep our ratings higher due to the responses we can give each of reviewers. We've also realized the benefit of this automated in other areas of our digital landscape. Thanks for the feedback, Samantha. We are delighted to hear how our software has helped you manage your online reviews. And we hear you about the social media monitoring, it really would be a great next step for our platform. Stay tuned! The ability to see all reviews in one place. There is nothing I can think of in particular. Prior to ReviewTrackers I was screenshotting all of our TripAdvisor reviews & sending to our executive team that way and it wasn't clean or easy to read. With ReviewTrackers I can export them into an excel sheet & send them and it's much easier to read. It's also great to be able to assign a status to the review so everyone on the team can see if it's been responded to or not. Hello there, thank you for sharing your feedback here on G2 Crowd. I'm so happy you no longer have to screenshot your reviews! "Review Trackers is a great tool with an even better staff to work with! " Having the peace of mind knowing that we can get notifications from across the Internet from one platform, rather than missing notifications across all platforms. The review request feature is amazing, It is helping turn our online reputation around. I also LOVE LOVE LOVE working with Crystal! She is an amazing gal, that is more than willing to help me with whatever I ask. It would be great if the review request emails could be personalized. It would also be great if we could get non-manual reporting on the review request sends. We are solving our over all brand reputation online. We are able to respond to reviews in a timely manner due to our notifications, we are able to get our guests to turn their once negative reviews into positive ones, and the review request tool is just amazing! Hello Ginny! Thanks so much for leaving such a great review. Happy to have provided some peace of mind with our review notifications and helped with your online reputation. It's what we're here for! P.S. We think Crystal is super to work with, too! "Review Trackers has changed our interaction with the public"
A low cost way to see and interact with your customers and their thoughts about your experience. It's been so great to get the daily emails and see customer service trends and overall has had an impact on our operations. We own and manage several large restaurants so as you can imagine having quick responses to our customers reviews was next to impossible. Honestly, I haven't found anything that I don't like. The service is exactly as promised and believe me we needed it! If you are looking for ways to interact with your clients/customers experience then ReviewTrackers is your solution. Our lack of communication with customers experiences has finally been answered! The benefits are that we finally feel like we have a pulse on the general public opinion on our restaurants which has helped operations immensely. Hi Shawn! Thanks very much for the glowing review. We firmly believe in having a pulse on public opinion and glad you're able to manage it. Let us know if you need anything. I find ReviewTrackers to be a good site to monitor and track my reviews. Overall, it does the job and allows me to track reviews by date, location and rating. I would rate Review Trackers an 8/10.happy with Review Tracker the dashboard is easy to use. For the most part, it is reliable. However, there are times when the site is a bit slow, or a few reviews may be missing & many reviews took up to 2 days to be display on the dashboard. Track reviews. Overall, it does the job and allows me to track reviews by date, location and rating. Thanks for the great feedback! Sorry to hear about some of the issues with the expediency of your review data. Have you reached out to our Customer Success team about it? Let us know of any issues you have. Best of luck with your reviews. "Great tool for a busy agency"
We are a smaller digital agency with clients with different requests - review trackers is able to pull in reviews from several different platforms, which is very helpful for our clients. Some of the platforms take longer to pull into the platform and send a notification - like google. This can be problematic if it is something that needs immediate attention. Being able to track reviews for our clients on several different platforms. Hi there, thank you for sharing your valuable feedback on G2 Crowd. I'm glad to hear that ReviewTrackers is helping your agency track client reviews on numerous review platforms! Let us know if you need help setting up your Google integration: this should help you pull data faster from your review sources. Much easier than browsing review sites daily for multiple businesses. Easy to add new businesses, and great reports. Adding multiple users with different access levels is simple as well. The request review function is pretty slick as well. There is a slight lag time between a review being posted and an alert being emailed. Some Yelp reviews that are filtered do not get captured. This product has made it much easier to spread awareness to our employees about customer feedback in a much more efficient manner. Hi Micah! Thank you so much for taking the time to write a great review here on G2 Crowd. We are happy it's easy for you to add new business locations and add multiple users with different level access. Best of luck with your online reputation. "Great way to consolidate the online review effort"
I have been very pleased with Review Trackers. It is an affordable and easy to use system that helps me consolidate and be more accountable with my online review efforts for clients. Although I think it can be more robust and integrate with business websites better, it delivers on ease of use and results. If you are an individual or agency looking to organize and consolidate your review efforts than I would highly recommend Review Trackers. Since I manage multiple clients, it offers value-added time-saving results. Hi there, Joel! Thanks for the great review. We're so happy our product has helped you save time and that you are more accountable for your clients. Best of luck to you! "ReviewTrackers is good for business! " ReviewTrackers has been so beneficial for us to manage all of our reviews in one place and has changed our entire work flow. They also have the best support team which is extremely important to us if we need extra trainings, have any issues or whatever it may be! I used to say it was the lag time of when a review was made but now there is zero lag time and we get reviews right away. We are solving the issue of not only managing our time better but we are also helping to solve consumer satisfaction. We want to be quick and helpful to our customers so having a tool that helps us do that is extremely important. Hi there, thank you so much for the nice review! We firmly believe in having a pulse on customer experience and online reputation and we're glad you're able to manage these more easily using ReviewTrackers. Let us know if you need anything. "Nothing to complain about :) We love ReviewTrackers at The Steve Tyler Agency"
Emily & the ReviewTracker team has been nothing but Exceptional help with out agency. Emily is always in constant contact with us and our clients getting reviews from all over the place. We are on LinkedIn, Google+, Facebook, YellowPages,, Twitter - She even e-mailed all our clients in the agency personally asking for their reviews! We love getting feedback from our clients because it lets us know EXACTLY what we are doing well and what needs improvement. The iPad was also a cool feature we got to use and get reviews off of! Thanks Emily & ReviewTrackers Team. YOU ROCK :)! We really didn't have any complaints. Our questions and concerns were promptly answers and in a professional manner. The iPad was a cool feature, but we do wish we were able to take it out with us on our home visits for when clients couldn't make it to us, or the trade shows we participate in for reviews that way. We don't get many "walk-ins" or office visits so it was rarely used. Hi Tara, just wanted to say thanks for the nice review! YOU rock. We're all about online reviews, and yours is much appreciated. Good luck with your online review management and, as always, let us know if you need anything. "Review Trackers is First Rate"
Takes all of the pain of monitoring multiple sites without having to do much work. Instant feedback allows us to quickly respond to reviews and thank customers for great reviews. I don't have anything negative to say at this time. Make sure you work with the ReviewTrackers team when setting up your account. They can make it a lot easier and same you a fair amount of time by letting them know what you need. They can sometimes even set pieces up for you, which can save you a lot of time. Able to monitor in real time both positive and negative feedback from customers. This allows us to react immediately and thank users for their comments and address any issues. Hi there, Thank you very much for the wonderful feedback! We are happy to see how our automated tools have simplified your online reputation management. Let us know if you ever need anything! I love how clean the platform is and how easy it is to use. I wish we could respond to Yelp reviews in the platform. It's so much easier to manage reviews for dozens of locations when they are in one place! Thank you so much for taking the time to leave a review here on G2 Crowd. We are happy to hear that ReviewTrackers has helped your team monitor online reviews across dozens of locations more easily! And thank you for appreciating the clean look and ease of use of our platform: our Product and Engineering teams are committed to delivering the best possible user experience for customers like you. "Great for multi-brand CRM organization, solid UI UX"
The user interface is simple and intuitive, and it is very easy to add additional channels, brands, locations, and users. Hi there Lee, thanks for the transparent feedback. I understand completely when you say that replying to reviews can be a little "clunky" (great word usage, by the way) and I wanted to assure you we are working on a seamless experience for all of our review sources. We've spent a good deal of time making sure our UI was intuitive so large businesses could easily add new locations, and users. In fact, we have lots of great new features in the pipeline that will make that process even more streamlined. I've passed along your feedback about the clunkiness to the engineering team. We take our customer satisfaction seriously so I'm really glad you took the time to tell us how we can improve. "Easy to use and feature rich"
That the setup of tracking URLs is done by the staff at ReviewTrackers and that you have the ability to add others if need be. That you can only track one URL per site per location. So if you're tracking for a law firm with multiple attorneys you have to treat each attorney as a location. Protecting online reputation and obtaining feedback is crucial. ReviewTrackers makes it easy. Quickly catching negative reviews and protecting online reputations. Thanks for sharing your feedback! We love that you're able to stay on top of your online reputation using our software. Thanks, too, for your helpful suggestions, which I have already shared with our Product team. And please don't hesitate to let your CS manager know if you have additional ideas. "Excellent review tracking system for small and large scale business." I have been using this product in correlation with our reputation management program. The system accurately reports reviews to my email each morning notifying me about Google plus, Facebook, Yelp, and a large number of other industry specific review platforms like Edmunds.com or Cars.com. There has been a few rare occasions where reviews come in later then expected (over 72 hours). I would say that this is a very rare event and that over 95% of the large influx of reviews I receive were reported on time. 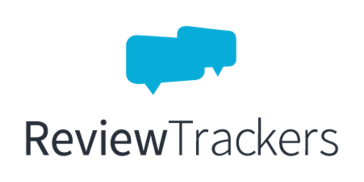 I highly recommend ReviewTrackers for either personal or business review tracking. When responding to clients reviews both negative and positive: Trying to keep up with each clients individual review platforms is a nightmare! This process is made simple by ReviewTrackers. ReviewTrackers allows me to easily add and remove new/old clients and their specific review platforms. I also enjoy the fact that ReviewTrackers email notifications include links directly to the review being reported. Thanks for the helpful feedback! We know just how important it is to respond to reviews (both negative and positive) but the first step is tracking and notifying our users. It is feedback like yours that lets know we are on the right track. They have a fantastic customer support team, and their product consistently meets performance and feature expectations. There is really not much to dislike as a ReviewTrackers partner! ReviewTrackers helps our company effectively provide comprehensive solutions for our customers. Thank you so much for your great review here on G2 Crowd. We are thrilled to hear that our software has helped your organization manage online reviews and customer feedback. Your comments have certainly made our customer support team's day! The cost is really reasonable and the real time notifications keep you on top of all your reviews, allowing you to focus on other areas of your business. The real time alerts allows us to identify potential operational issues and also enables us to enact service recovery efforts in rapid fashion. Hi there, Dennis. Thank you very much for taking the time and leave us a review. Is there anything specific that we can do to bump it up to 10/10? Let me know and I'll do the best I can to make it happen. Thank you! The review notifications. This helps us stay on top of negative reviews for our clients. Nothing that comes to mind. It could be less expensive, but then again they have to make money, right? Trial the program for one location. We use ReviewTrackers to manage our clients' online reputations. This tool helps us not only get notified of negative and positive reviews, but we've also increased the reviews for our clients using their templated system. Hi Jonathon, thanks for writing a review for our product. You're totally right, we have to make money! We're glad ReviewTrackers has helped you manage your clients' online reputations. Keep on trackin'! ReviewTrackers makes it easy to monitor and keep track of reviews across a great breadth of review sites and number of clients. What I like best though, is the quality of customer service we receive from Crystal and team. They are great about finding solutions to our problems, explaining issues in detail and just being plain old friendly. There is not much to dislike. We have experienced hiccups in speed of discovery of reviews, sites not working and general errors, but the ReviewTracker team has always been accommodating and quick to resolve any issue we bring to light. This product solves the need to check every site manually and does so in a very efficient and competitive way. There has always been a lot of benefit to staying on top of reputation online for our clients, as well as using the provided metrics to inform decisions. Hi there, Thanks for the nice review! We take pride in customer success, and hearing great feedback like this lets us know we're doing something right. Let us know if you need anything, and we would be happy to help! "Review Trackers Saves Us Time"
Review trackers helps to make a time-consuming task more efficient. The platform is comprehensive, easy to navigate, and organized. It could be easier to add companies to the platform. When managing reviews for multiple companies, having a platform like Review Trackers helps to make the process simple and quick. The reports especially come in handy! The biggest benefit is the time that this platform has saved us in tracking and responding to reviews. Hi there, thank you for taking the time to share your feedback with the G2 Crowd community. I appreciate your thoughts on our software and I am glad it has helped your team save time. Be sure to ask your CS manager about our Local Listings feature: this should help you increase efficiency in adding companies to the platform. Thanks again! "Great tool and awesome customer service"
ReviewTrackers quite obviously helps us keep track of our online reviews-which is awesome! Though, on top of this I LOVE their amazing customer service. They truly care about the consumer and how I interact with their site. They keep me up to date on any improvements they may be making to make my experience better, and they even take my suggestions into consideration. It's truly a pleasure to work with them. The only thing I could say that I dislike is that I wish that I could just put in other sites that I want to keep tabs on. Though, I understand it's much more difficult than just typing in a website for them to keep track of our reviews. ReviewTrackers helps us understand what medium our patients prefer to use in rating our business. This helps us understand them better and hopefully communicate our message on these different websites. Thanks for the great review and insights into your process. We take pride in our customer support, and really do love our customers. It is a pleasure to work with you as well! "Review Trackers is an Awesome Tool!" I love the ease of use and functionality we have with Review Trackers. I like that we can set up different locations for an individual business; and, as an agency, alter that use to create templates for different clients. Review Trackers is a great tool for reputation management and has made it a lot easier to show our customers and clients how their review history has changed and how important it is to pay attention to the review process in general. I wish the functionality was a bit better for agencies creating locations for different clients. If it were easier to set them up as new clients instead of just as a "location," the report function would also look nicer. The report function, in general, is "ok" if you use the base .pdf, but it tends to look a bit awkward (though through conversations with tech support I already know this is on your agenda. A lot of people don't recognize the importance of reputation management. If they even know they're getting reviews, they sometimes ignore them altogether. Tools like this make it easier to show our clients how important it is to respond to reviews and - ultimately - to ask people to leave them to start with. Thanks for the great review! I especially like the part about explaining to your clients the importance of reviews. You obviously already know the value of customer feedback like, so I appreciate you taking the time to let us know about the functionality about location setup and reporting. Both of these features are currently in the process of an overhaul and an update will be available soon. Thanks again! "Easy to use and amazing software"
Review Trackers has been the most helpful review company we have worked with at Saint Clement. From customer service to understanding review sites and what reviews can do to help our parish, Review Trackers has walked us through it all. As a church in vibrant Lincoln Park, it's critical that we stay on top of what our parishioners and visitors are saying. The best thing about RT is that their software is so easy to use! Even the least tech-savvy people on our staff find RT software useful and user friendly. I can't think of anything, but sometimes the account glitches. The team fixes it so fast. Crystal, their director of customer happiness, (awesome title) is super helpful and would recommend reaching out to her. After looking up Saint Clement on Yelp, I realized that there were probably a lot more things people were saying about the parish than I thought! Instead of searching, analyzing and responding to each and every review site (and there are hundreds!) Review Trackers puts it into one dashboard and notifies me of any new reviews via email. So efficient! We've realized that we can solve a lot of issues we can't see by reading online reviews and Review Trackers makes it so easy to generate and ask new people to review. With their new Hootsuite feature, growing platform and ability to listen to their customers, the product just keeps getting better. * We monitor all ReviewTrackers reviews to prevent fraudulent reviews and keep review quality high. We do not post reviews by company employees or direct competitors. Validated reviews require the user to submit a screenshot of the product containing their user ID, in order to verify a user is an actual user of the product. Hi there! Are you looking to implement a solution like ReviewTrackers?